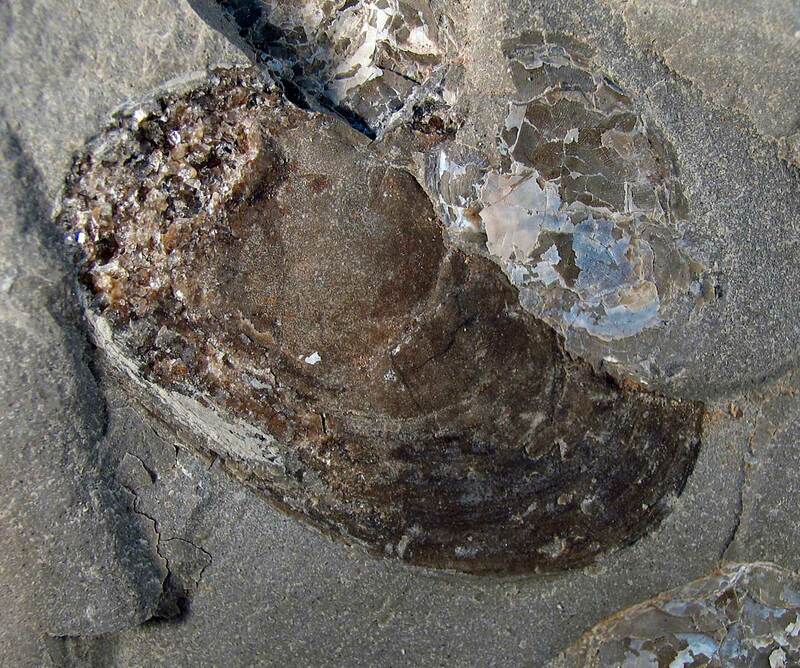 This interesting fossil is some sort of clam preserved by carbonaceous film. 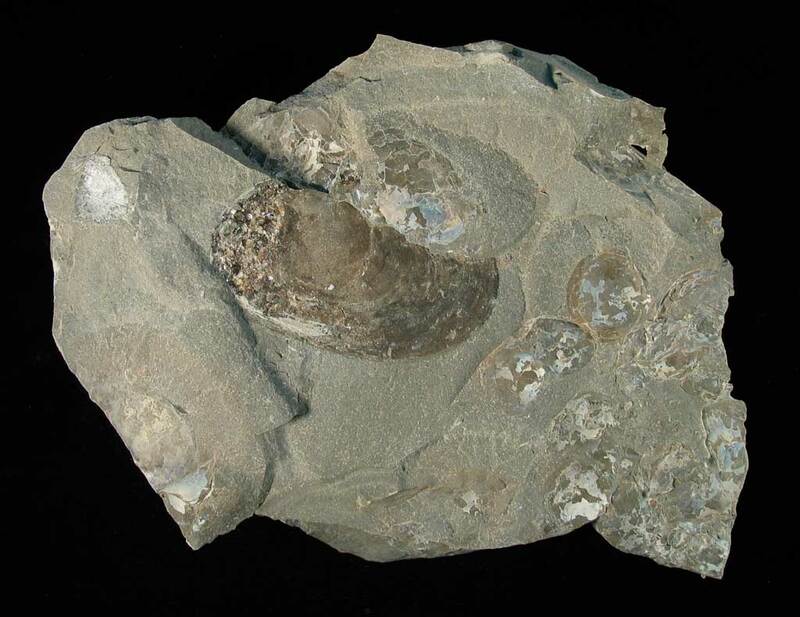 It was found in the Lexington Limestone of Franklin County, Kentucky. The name might be a Psiloconcha sp. 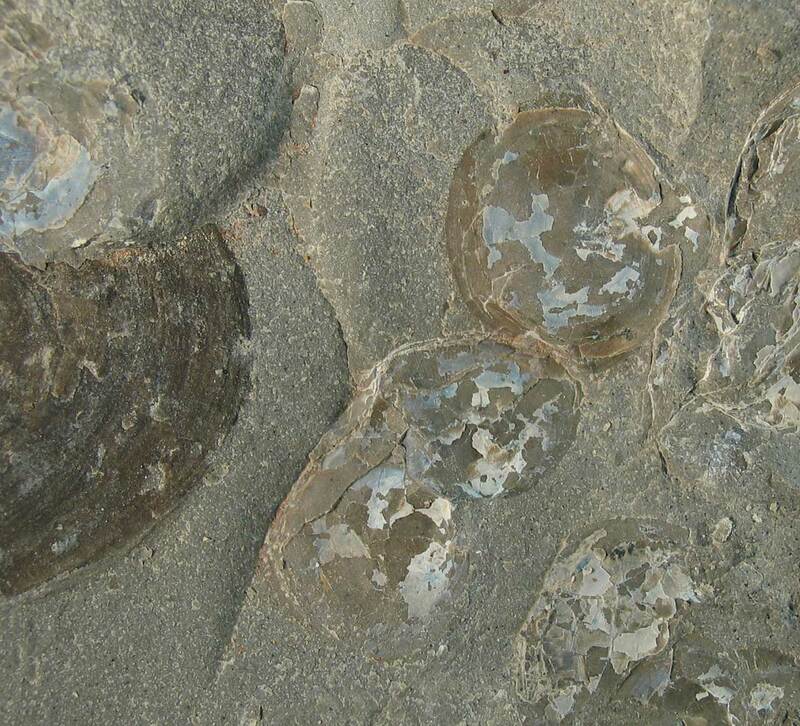 If you look at the picture of the matrix plate, it was fossilized in place with a number of other sea creatures. 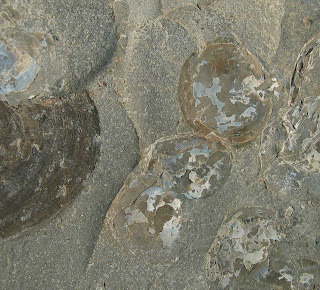 In addition, a brachiopod imprint appears in the matrix as well. 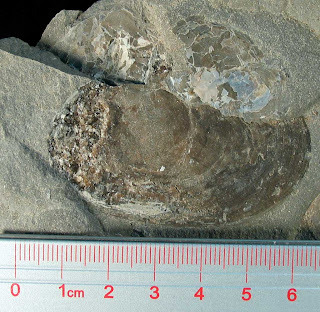 Also the clam might have some calcite crystals at one end of it. Thanks to Lawrence for these fossils.